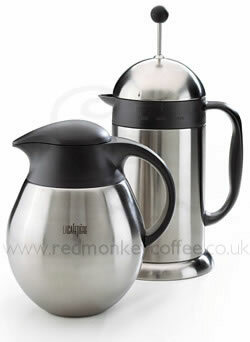 Keeps coffee hot for three times as long as a standard cafetière! Stainless steel body and lid. Currently available in 8 cup/ 1 ltr size..